We’re closing in on the 50th anniversary of the death of Buddy Holly, and the latest issue of Rolling Stone magazine is carrying a pretty good article about his last days. Check it out. Everyone knows his dozen or so big hits (“That’ll Be The Day” “Peggy Sue”) from eons of exposure on oldies radio and nostalgic movie soundtracks, but a deeper dig into his catolgue reveals the breadth of his artistry. Take a listen to “Learning The Game.” Musically, it has a unique stop-start, Tex Mex kind of feel, and lyrically it may be one of the most cynical cautionary tales to come out of rock’s earliest era. When that plane went down in a snowy field outside of Clear Lake, Iowa on February 3, 1959, no one can ever know the full scope of the paths that were closed off. We only know the tantalizing glimpses of what was left. Holly was the first rock artist to insist on direct control of the production of his recordings. He was one of the first singer-songwriters of the modern era to go beyond party music or trite romantic trifles. He was the first to take the infant form of rock music into uncharted stylistic territory. He was the first to utilize the recording studio as a sonic playground. With no Buddy Holly to blaze the trail, there may have been no Beatles, no U2, no Radiohead, at least not as they are known to us now. …and so may others recorded over a period of less than 30 months. 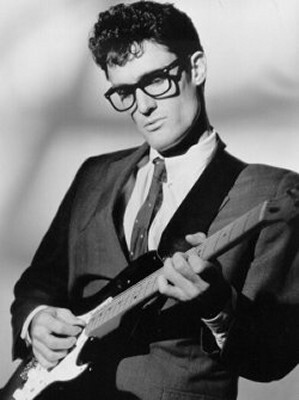 And marvel that Buddy Holly was only 22 years old when his voice and Stratocaster were silenced forever.